Gazing into a messy closet can bring your mood and motivation down in an instant. It does’ t help that with clothes scattered about, it is impossible to find the specific item you are looking for everything from your outing to Griffith Park or to a fancy dinner in Beverly Hills, you need easy access to your stuff always. With a little research and a solid game plan, you can follow these steps to produce an organized closet that is not only appealing to the eye, but to your sense of accomplishment. All closets are not created equal. To get your perfect closet, you have to look at all the aspects of your space to make sure it makes sense. For example: great lighting is important, and if overhead lighting doesn’t exist currently in your closet, it may involve a quote from an electrician to see if adding more electrical is an option. If you want to expand your closet space make sure you are not blocking windows or HVAC vents needed to heat and cool the room. However if you live in an area with high humidity, having ventilation in your closet could keep your cloths from getting musty or moldy. Its always a good idea to consult a skilled closet designer in Los Angeles at the early stages of planning just to make sure you are on the right track. Wardrobes vary from person to person. Take into account what already exists in your wardrobe. If you have a large selection of shoes, you must prepare the space to house them. Ask yourself certain questions so you are aware of the needs of the closet. + Do you want any open space? + Will you be dressing in the closet? + Would you like your shoes showcased or in storage bins? + Are accessories like jewelry also kept in your closet? If your space allows it, setting up continuous shelves up the walls may be a great option for more floor room. Place items that you are not likely to need on a daily basis higher up than your day-to-day wardrobe. Many closets come equipped with a single rod to hang clothing. Using a custom design, this rod can be doubled or paired with a combination of storage and shelves. 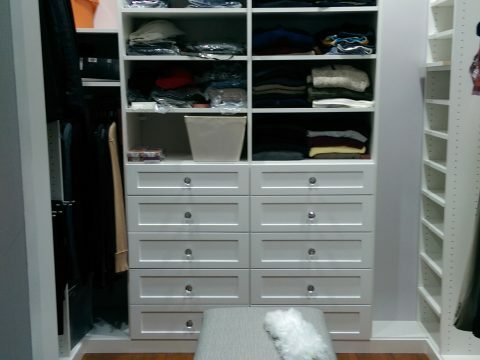 Some closets are tall enough for a two-tiered rod system which is great to hang shorter items. Many different hacks on closet space exist on the internet. Research little space saving options which can make a huge difference in organizing your wardrobe, such as bookshelves and additional hanging rods. Sections can make dressing and browsing faster and more efficient. Making a plan of the different categories you would like to separate your clothing into will give the process a clear end goal. Perhaps you would like a section for specific matching pieces. Or it may be more reasonable to have clear sections for different garments such as pants, skirts, etc. Color coordination is a step beyond this that may add even more order and curb appeal to your space. Labels can be used for everything, especially containers you cannot readily see into. There is no point in having racks of sweaters and jackets readily available in the summer. If you do have the opportunity to have high storage, use it for your clothes that are out-of-season. This saves time as well, since all regular use clothes are together in the open with easy accessibility. Switching clothes out is a must and will help you consider if you really need them every time you take them out of storage. A closet that is being continuously worked on is much easier to keep orderly. Understanding your closet space is the first step in reclaiming it to make it the perfect home for your wardrobe. Taking pride in your home is common, but do not leave your closets forgotten. There are alternatives to basic storage designs that can enhance your everyday living. Space-saving closet designs do not open up space for your clothing, but also improve the look and competence of your closet. 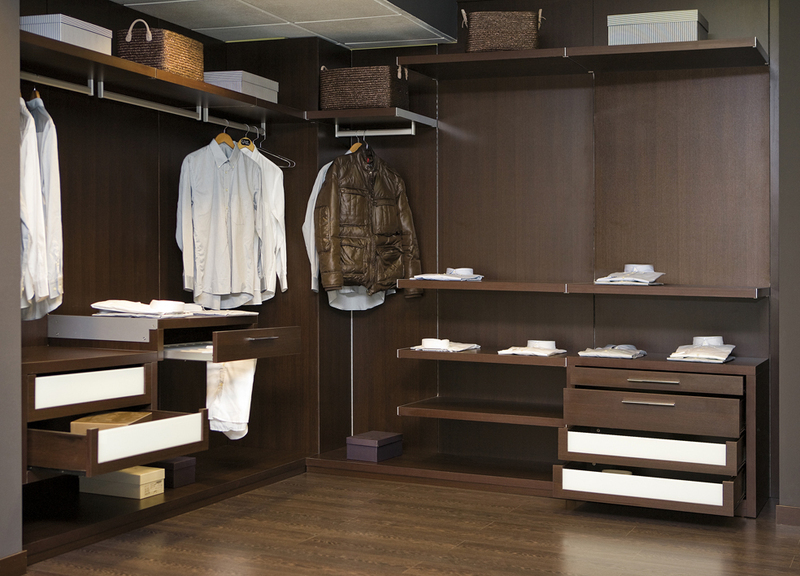 Finding items is easier in an organized space and a beautifully designed wardrobe can lift your mood.